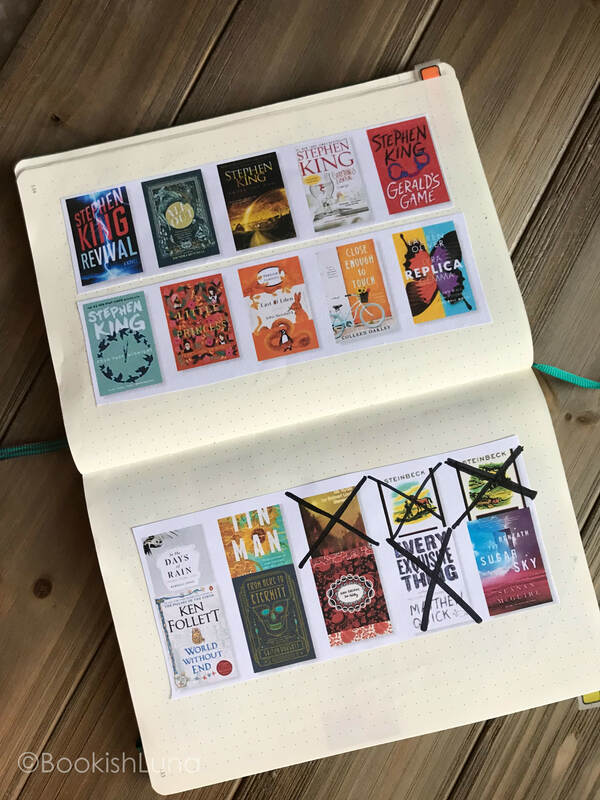 So earlier I shared my bullet journal and I only shared my layouts for June, well I also wanted to share how I track my physical owned TBR. So like many of you my goodreads TBR is a mixture of owned books and not owned books. Well, since I am doing my Read 5 Buy 1 challenge I wanted a way to better differentiate the two. So I added the following to my bullet journal. 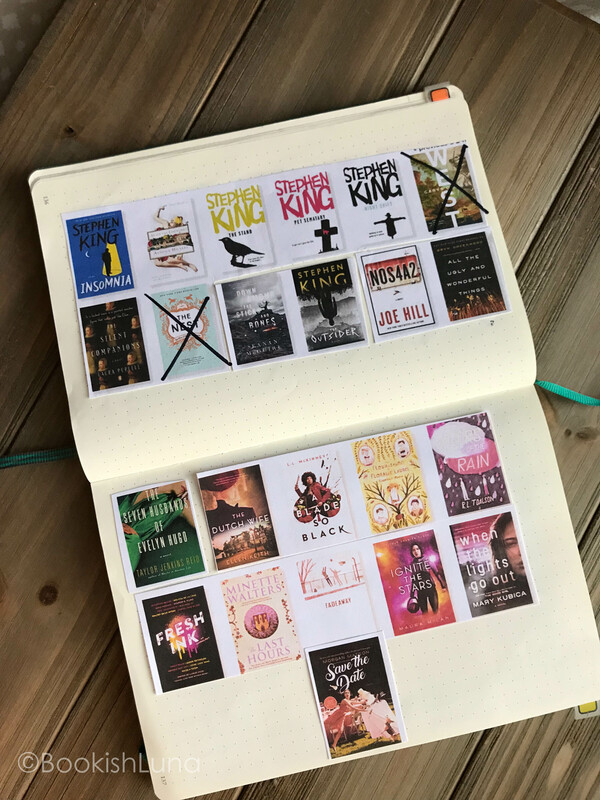 Here is my physical, owned TBR! I have several of those on my TBR as well. I actually own The Seven Husbands of Evelyn Hugo and The Sun Is Also A Star. 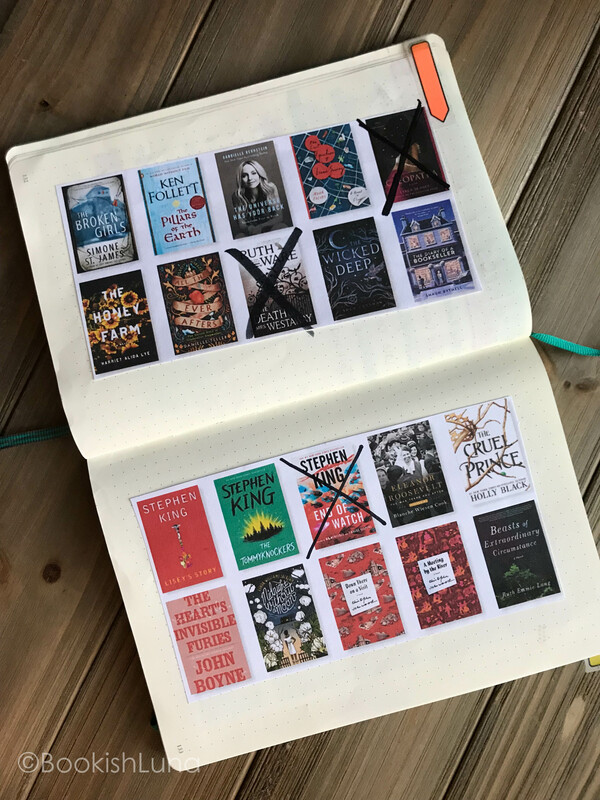 A couple that I don’t own yet but I want to read are The Upside of Unrequited, Down Among the Sticks and Bones series, The King books, and Save the Date. Oh cool, I keep hearing positive things about The Seven Husbands of Evelyn Hugo. Yeah, I have liked his work since I was very young. I remember watching creepshow when I was still in elementary school. This actually took me all of 10 min. to do. 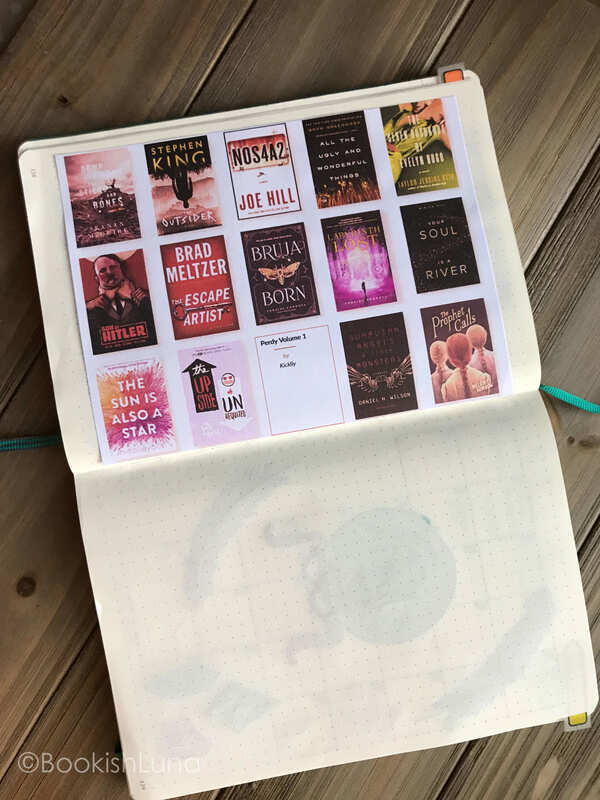 I went to my goodreads shelf “Owned-TBR” and I went to the top and picked grid and printed the pages. Then I just glued them into my book. I am glad that it looks like it took my a lot of time though! The Beast of Extraordinary Circumstances was incredible. It wasn’t at all what I thought I would be. This is a really great way of doing it. Makes it so much easier to see and pick what to read next. Yeah, I find that I do better looking at my TBR this way then looking over my shelves, especially when I have ebooks as well. I just finished “Tin Man” and loved it. Also, “Silent Companions” is on my TBR. So glad to hear you liked Tin Man! I have not heard a ton about it so it is nice to hear something positive about it. Okay but this is honestly such a smart way to see all the books you own and if you’ve read them. I think I need to do something like this because I have so many books and so many I haven’t read. Plus some of them I’ve taken off my TBR and need to get rid of. I have an owned shelf on goodreads. I really need to go and update it. I had that on goodreads, but I unhaul so much I just deleted it all together. I just have an owned TBR shelf I keep up with. All my other shelves that are genre specific I only add to when I have read the book.